Alastair Nairn organised the meeting. Farm leaders have hailed a “constructive and positive meeting” with the Scotch Whisky Association (SWA) over concerns about the use of distillery byproducts in renewable energy plants. The meeting, which took place in Edinburgh, follows a number of farmers hitting out at the use of distillery byproducts, such as draff and pot ale syrup, in biomass and anaerobic digestion (AD) plants. 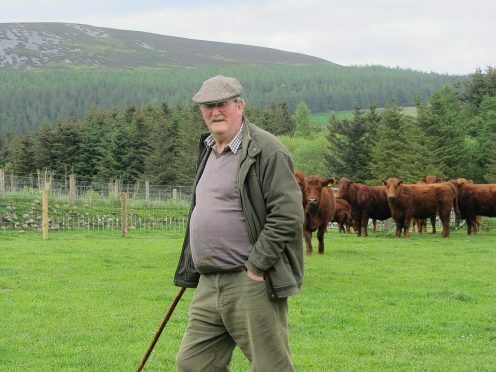 Glenlivet farmer Alastair Nairn, who is environment spokesman for the Scottish Tenant Farmers’ Association (STFA), said: “There was agreement that the dialogue between whisky producers and livestock farmers should be continued and expanded to include the wider supply chain, such as feed merchants. This would create a wider understanding of seasonal and regional fluctuations in the availability of distillery byproducts and the corresponding demand from livestock producers. The meeting was also attended by NFU Scotland president Andrew McCornick and STFA executive director and Sutherland farmer Angus McCall.